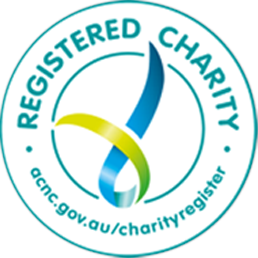 Founded by Dr Mrin Nayagam, the Silver Linings Charitable Trust (SLCT) is registered with the Australian Charities and Not-for-profits Commission (ACNC). Dr Nayagam established the SLCT with the intention that all of its funds will be diverted to benefit financially disadvantaged people in the local community, which neighbours her general practice clinic in Mount Eliza, Victoria. The trust is named after Dr Mrin Nayagam’s book, SILVER LININGS-True stories of resilience from a General Practice, published in June 2017. The funds will be distributed mainly through donations to other organisations with a DGR (deductible gift recipient) status, such as Community Support Frankston. The trustee of the SLCT is the Silver Linings Charity Limited. The directors of which are Dr Mrin Nayagam and her family members, Dr Prakash Nayagam, ( husband), and their adult sons, David and Romy. All the trustees’ work in relation to the trust is pro bono and the directors will not accept any directors’ fees. There will be no administration fees for the trust, thus 100 per cent of the funds in the SLCT will be used to assist those in need in the community.